Whoa!!! can't believe the year of 2018 is going to end soon. Then we will welcome the year 2019. Its all about hard work throughout 2018 and I am one person who believes in balance life. My travel episode is starting soon enough. Here I am writing a blog post on my travel journey again. Just wait up for experience sharing session next month. It is my pleasure if my travel article can help others too. Sharing is caring! Since I started my abroad trip in the year 2012, I always feel such a waste to subscribe to a data plan. I don't have time to even online in the daytime since I will be busy sightseeing. I can just go online at night time using free wifi from the hotel I stayed in. There are good and bad at using my method. Let me tell you, why I said so. I usually plan my itinerary by reading other people blog and articles. Most of the time I will just bookmark on my browser. Hurl! I can't afford to print that article out and bring with me. That is so much of hassle to bring around a stack of paper, right? The problem of the bookmark on the browser, we need internet line to refer back to that article and blog post. With my 'Auntie Scrooge' style of travelling, I am not able to refer back to the article, since I don't even subscribe to the data plan. How I did it with all my limitation? Here are my SECRET to travel without the data plan on hand? Have you heard about the GPS-guided travel article? I found this useful app called GPSmyCity last year. This app is totally useful with my style of travelling. This GPS-guided travel app allows you to access thousands of useful articles from over 600 worldwide cities without any internet service. It will show your location and even guide you to the next location. How does this app guide you without even have any internet line? All travel article from GPSmyCity has GPS coordinates embedded in the article and a map of the route as the author of the article described. All you need is to download GPSmyCity on your phone or tablet for FREE OF CHARGE. You can even read travel article on plane or beach or anywhere without wifi or any other internet service. 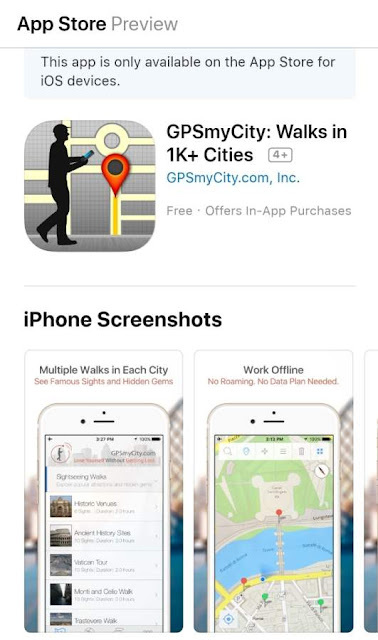 If you decided to use the article in GPSmyCity as GPS-guided, you will be charged a small fee to upgrade the app. Rest assured it is super duper cheap compared to subscribing to the data plan. Trust this Auntie Scrooge! Once you download and start using this app, you will love it so much. 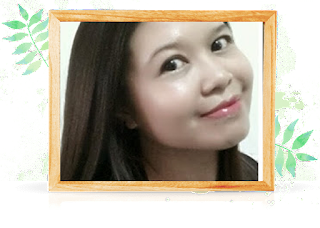 Here are some of the testimonial from satisfied GPSmyCity user. Good news to traveller out there! BONUS to my fellow traveller out there, I am giving away FREE UPGRADE of my most popular travel articles in the GPSmyCity directory, beginning today Sept 23, 2018, and ending next week Sunday, Sept 30, 2018. Good things always come with limited time. How to get my limited time giveaway? 1. Click the link below for article you are interested in. 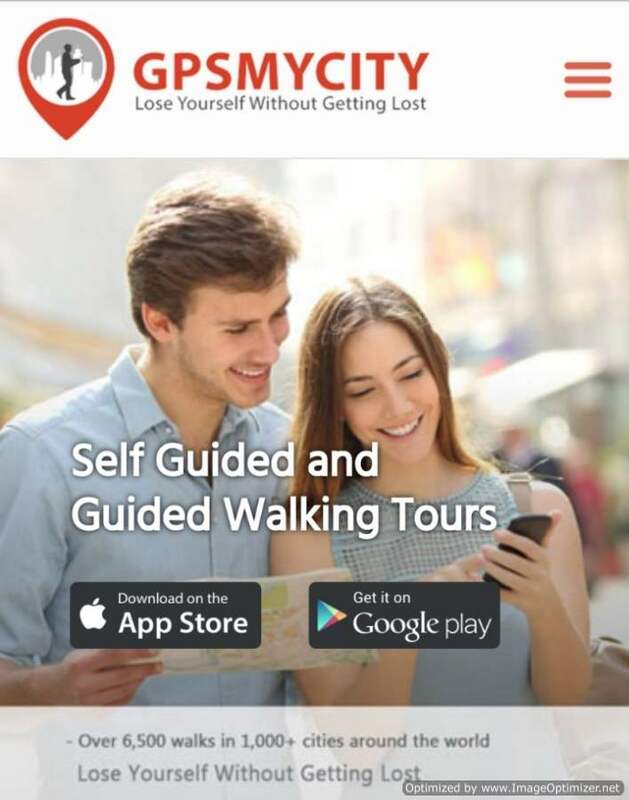 Make sure you have downloaded the free GPSmyCity app before you do so. After downloading the app, you will be directed to the article, where you choose UPGRADE to get the GPS-guided version. 2. Then from the GPSmyCity app, you can browse the city to see which articles are available. Here we go...you are now ready to download any article for FREE or upgrade for offline GPS-guided use. This is a new concept for some traveller. But for me, this is how I survive my travel without even any data plan subscription from the country I visited. Most of my travelling experience using this article from GPSmyCity is like using a personalized tour guide. Download FREE my most popular article at GPSmyCity today for LIMITED TIME only. For those who want the latest update from my travel journey, please follow my Instagram Cindyreena and FB PrincessCindyrina . Wow! This is so convenient and helpful for travellers! I'm sure this will be really useful for my next trip. Gonna download and check this app for sure! good to have this. Glad you are sharing this, if going travel can use this. wow. is a must to donlod this apps. travelling is fun, but problem when we have no idea how & where to go. 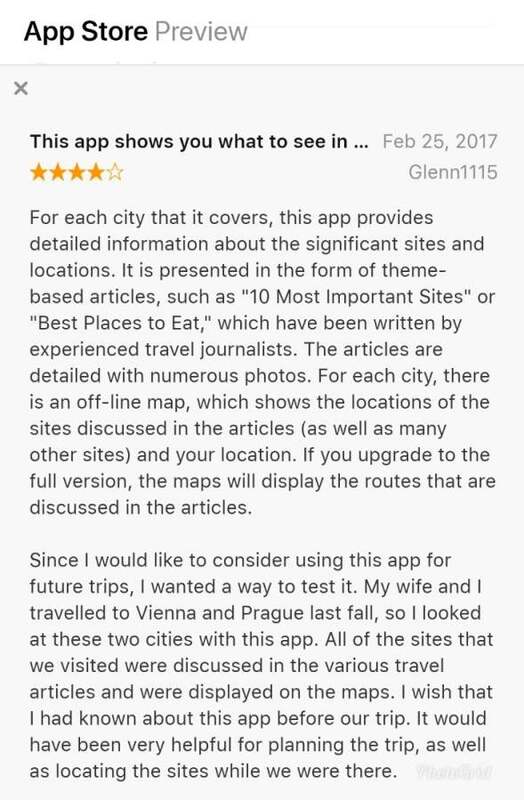 having this, travelling will be more fun and hati pun senang... tq for sharing. wow.... gps pon da ade apps... apps mcmni sgt mudah.... takdela terkial2 mencari peta masa travel kan..hehhee... berguna sangat apps cmni untuk kaki travel..
Apps baru ke ni? Mudah nya zaman sekarang ni kan..
Kalau pergi mana-mana sendirian pun tak perlu risau dah. Sebab ada bantuan yang memudahkan kita. Boleh cuba download ni.. Mana tahu tiba-tiba nak gunakan..